Tabitha Fink: The Cat With One Eye by Rick Felty is about Tabitha Fink, the cat who introduces herself to readers using clever rhymes and interesting words that will help to improve their vocabulary. Tabitha Fink is happy the way she is, not being a star or a bear with a hat. She is not a doll or a blueberry pie, but just Tabitha Fink and she is happy being herself. The book conveys a beautiful message of accepting oneself and realizing that we all are great as we are, just like one-eyed Tabitha Fink. I found the book adorable and the message is very up-lifting. It teaches children to be happy with their own selves instead of trying to be like someone else. The illustrations are charming and lively and help children learn a lot of new things. 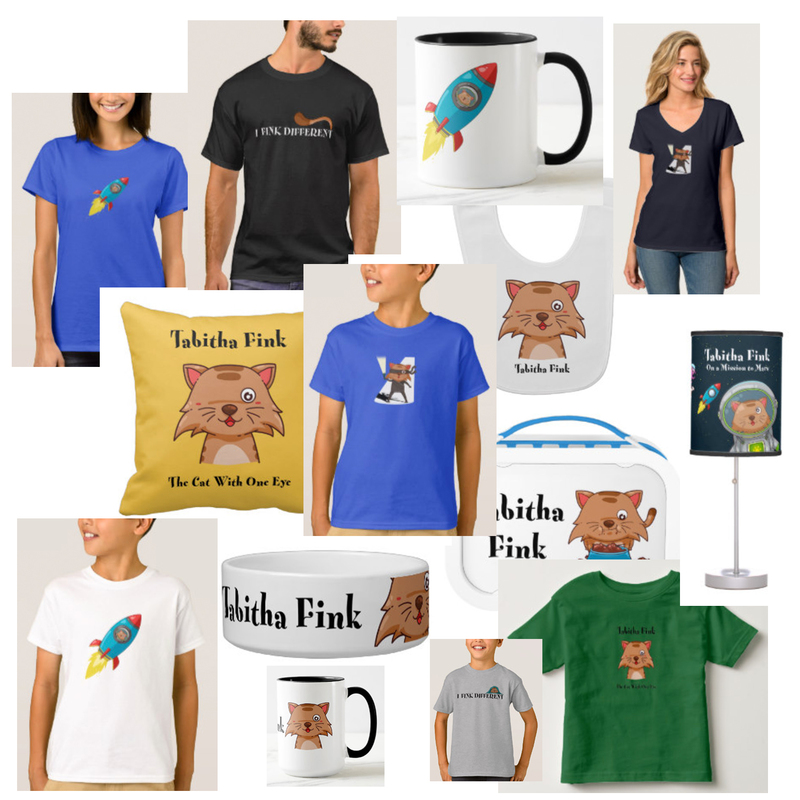 Tabitha is a lovable one-eyed cat and she teaches readers to feel great with what they have. It’s a good bedtime storybook and parents and grandparents can read it out to their kids and grandkids. The book can also be used for read aloud sessions in classrooms and school libraries. The message conveyed through the book is very healthy and empowering and teaches young readers to celebrate their uniqueness and individuality. Books that convey good messages to kids help them understand the message or the concept better when narrated with the help of a story. Kids will love this book and they will also like the voice of Tabitha Fink. I read this. It’s a precious review. This one review for me captures TF books better that any other review I’ve ever read of a TF book. I realize this is about TF #1. Great decision to post this one. You should probably tag all your reviews as reviews, but include education and then also children. You may get invitations to other schools or at least some schools may buy the book(s).